The number of orphan's in China is huge and the needs are great. Orphans face many challenges. We have more programs in China than elsewhere. 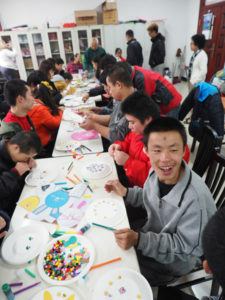 We serve and provide care for many orphans in China. 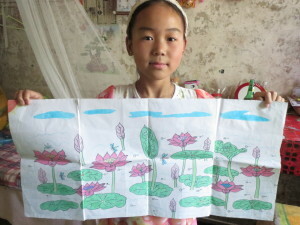 In our China children’s programs we serve children through various culturally and geographically appropriate programs. Each program provides legitimate ongoing care to its members which is intended to help change lives for the long-term future. Children usually join our family while in primary or lower middle school. Some who joined our family as young teens are now employed in successful jobs because of education scholarships. Over 40 babies from Doves Wings are now living in beautiful adoption Forever Families. These are our main program areas in China however we also help in other areas as needs become known. Doves Wings began in 2010 while Bev, and Australian lady, was serving with us. She had first come to China with us in 2005 and worked with us full time from 2007. The home works with government orphanages by fostering babies and toddlers in smaller more family style homes. Our Doves Wings apartments each provide loving home environments for 6 to 9 children who live with a dedicated group of Ayis (aunties / child carers). The children have been abandoned for various reasons and usually all have physical challenges. In this home environment they receive much more dedicated care than they can in the much larger institutional style orphanage. Since we opened Doves Wings we’ve seen well over 30 children be matched and adopted. Most have gone to northern American or European families but a few have been adopted locally. The children live in Doves Wings and of course ayis are employed to care for them in every way needed. Volunteers who come and serve in various ways assist this team of loving ayis. Some volunteers are foreigners who are living locally and others come as part of our short-term teams. We also have volunteers who come with specific skills to help care for the children and train the ayis. The children are family. They don’t swap from apartment to apartment and as best as possible we ensure the ayis always serve in the same apartment. We maintain a ratio of approximately 1 ayi to 3 children during the day. We also have an additional ayis preparing the meals for staff and the children. We are very fortunate that one of our team is trained in teaching and she looks after kindergarten activities. One lady recently said… “I am very impressed by the standard of care, food and hygiene at the Doves Wings home. Well done, I know it is very difficult to achieve here”. Doves Wings relies on donations and child sponsorship. Without these the doors would close. Children require multiple sponsors to allow us to care in such a good way for these children. Things are improving for children in China with special challenges however there is still a long way to go. Our Little Fish team provide activities for children from around 5 years old through to adults in their thirties that allow them to learn a lot about self-expression through dance, music, play and craft. And every child likes story time! 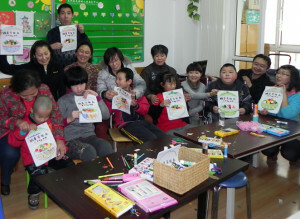 Each week staff and volunteers run programs for the children in a local government orphanage. These regular teams will be added to by visiting international volunteer teams when available. When a child with physical or intellectual challenges is too old to live in the orphanage they are moved to an aged care welfare home. This usually happens when about 15 years old. These can be very sad places with little possible to offer the child with opportunities to grow to their potential. Through our Little Fish program our team teaches members how to make products and enjoyable crafts like cards and desk items which the program members then sell and raise funds for themselves directly. They are also taught dance which they love. Yearly they take part in an event in a local International School and present some dances. People have been relocating by the hundreds of thousands across China in recent years. Whole villages it seems have moved to the city trying to find work. We’ve seen large schools in rural areas virtually closed because so many families have moved to larger centres. But for the children this results in many education challenges. Children are not guaranteed education in areas away from their birth area. Schools often don’t have the resources to cater for this increase in students. Through Little Fish we have provided English classes for children each week. Our visiting volunteers also help this group in amazing ways bringing fresh ideas and skills to the program. Little Fish depends on donations to operate. Some children can be sponsored. Donations and sponsorships allow this valuable program to continue. This was the first area where heart For Kids began helping children long term. There are so many children who are living in poverty who were not be able to complete their normal high school and had no hope of continuing to tertiary education. We stepped in to help them realise their dreams. The children we’re helping mostly live in rural villages in counties surrounding the main city we work from. Local government charity officers or local churches introduce us to the families. We visit to assess their situations and ensure the families are truly living in very difficult circumstances. The children are usually in primary or middle school when they join the Heart For Kids family. The education process in China is very competitive. But of course children in very poor families they are not able to even enter into this competitiveness without help to simply stay in school. The academic year is divided into two terms for all the educational institutions: February to mid-July (six weeks summer vocation) and September to mid/late-January (four weeks winter vocation). Most schools start from early morning (about 7:30am) to early evening (about 6pm) with 2 hours lunch break. Many schools have evening self-study classes running from 7pm-9pm so students can finish their homework and prepare for endless tests. If schools do not run self-study evening classes, students still have to do their homework at home, usually up to 10pm. On average, a primary school pupils spend about seven to eight hours at school whilst a secondary school student spends about twelve to fourteen hours at school if including lunch time and evening classes. Due to fierce competitiveness to get into good universities, the pressure to do well is intense. Many schools hold extra morning classes in science and math for three to four hours on Saturdays. If schools do not have Saturday morning classes, most parents would send their children to expensive cramming school at weekends or organise one-to-one private tuition for their children over the weekend. One child we help has had a very tough life growing up, we’ll call her Li. A couple that have looked after and cared for her as grandparents when they found her abandoned as a baby girl and brought her home. Grandpa has now died and grandma struggles to care for this young woman who is nearing the end of high school. Only through her sponsors help has Li been able to get this far. Li hopes to gain entry to an army university. Sponsorship that made it possible for her to continue in school and hopefully we will see her dreams come true soon. Li is just one child who has benefited by continued education. Chen visited us in our China office after he graduated. He joined our family while in high school and then we helped him gain his university education. Now Chen has a secure job at a federal government level and his future, along with that of his future children, is looking completely different. He explained to us that without our help he would probably be a cook, a waiter or unemployable; a long way from his dreams. His elderly mother sat with us, holding the hand of our founder, for nearly half an hour softly repeating xie xie, xie xie; thank you thank you. Our program mentoring team visits children regularly to assess their current situations. To remain in our program a child must meet with our team and continue diligently studying in school. During these mentoring visits our team spend time talking with the kids about their school and family circumstances, any difficulties they may be facing and how to make good long-term life choices. We try to guide them so they realise that while education is important their personal value is not in their school grade. Sponsorship for education helps children’s life stories be re-written which changes the future for each child and that of their children. There are nearly 14 million children in China with special needs. Many parents can simply don’t have access to special schools and training for their children, plus any medical requirements which are needed. If their child needs constant medical care and specialised therapy, what can they do? For many parents, the situation is just too difficult and leaving children in an orphanage has been, for many, their only option. We have partnered for many years with Morning Light. The program team are currently providing care for young adults who are living in an aged welfare home. They are now too old for the orphanage and have no hope for future adoption. Our team served these children when they were younger and living in the children’s welfare home. The change in the children as a result of care and love has been remarkable. One team member writes of a young girl who has serious spina bifida. She came to them when she was four years old and could not talk and refused to eat. She was self-abusive and easily frustrated. After a year and a half of persistence, involving bottle-feeding, she was able to eat. During this period she also required an operation on her foot to increase mobility. She is now six and our co-worker reports that, “she now eats a wide range of foods and is talking and very vocal. She loves singing and remembers tunes and songs. She can do most things for herself and is proving to be quite quick in learning her maths and reading… all self-abuse has gone and she is a most affectionate child”. We continue to provide care, teaching and direction for these children through skill-building activities making craft items for sale, seasonal cards and decorative hanging mobiles. All funds raised go directly to the childcare program. They also celebrate special events such as Children’s Day and provide educational and fun excursions to places such as the zoo. The team also lead training opportunities when possible for parents of children with special needs and they are part of the ongoing drive by other local NGO’s to improve care for special needs children in their province. Individual child sponsorship is not possible for these children but the work of Morning Light needs donations and gifts to continue.